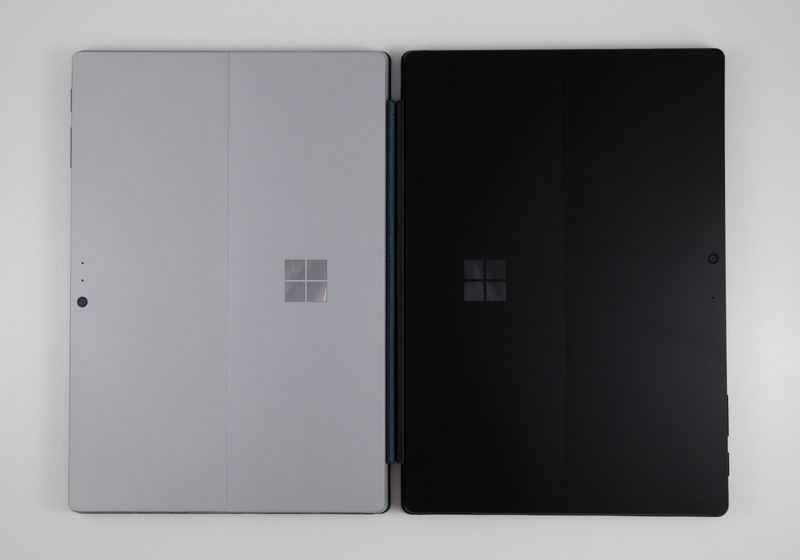 At the launch event in NYC on October 2nd, the Surface Pro 6 seemed like a mild refresh of an already established line, and that’s not even necessarily a bad thing. The exterior is more or less identical to the outgoing 2017 model, albeit with a new color option to sit beside the platinum that we’ve seen on all Surface devices for the last couple of years. The pen was immensely improved just last year, and carries over. The alcantara type covers were introduced last year, and once again carry over to this model. There’s still not a USB-C port on Surface Pro, and for no really good reason. But after using the device for the last couple of days, there’s more than meets the eye. 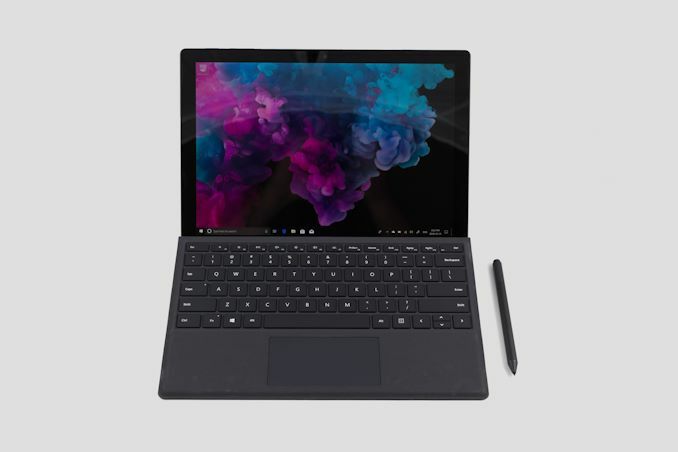 The big change with Surface Pro 6 is the move to Kaby Lake Refresh, and the doubling of the CPU cores that entails, and unsurprisingly the performance of this model is much better than all previous versions. The lack of an Intel Iris GPU option was unavoidable, since it no longer exists in the 15-Watt range, but even so, the Iris in last year’s Surface Pro was restricted by the low TDP anyway, and as such didn’t always offer the expected performance boost. 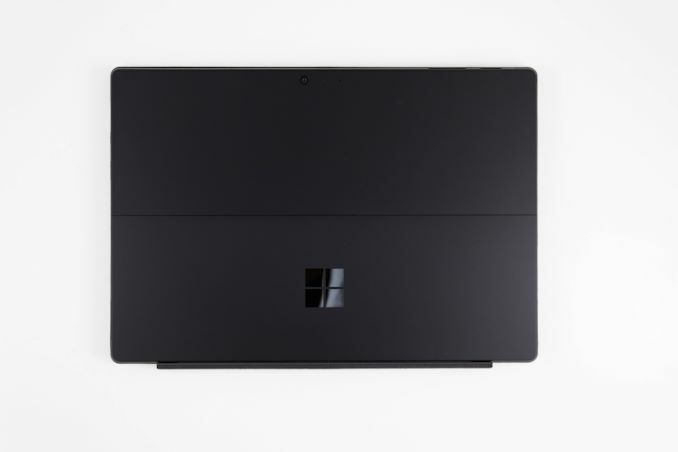 Microsoft has also taken the opportunity to improve the already class-leading display in the Surface Pro 6. It’s just as accurate as ever, but now offers a noticeable bump in contrast ratio. If you want an accurate display in the PC space, only Microsoft calibrates every device they sell, and the 12.3-inch display on the Pro lineup offers everything you’d expect in a premium PC, with high resolution, accurate colors, and full sRGB coverage. It would be nice to see Microsoft use Surface as a line to drive HDR adoption, but apparently, we’re not quite there yet. The 3:2 aspect ratio is still the right choice for a device like this, and that’s apparent when you see the competition all adopting the same aspect ratio on their lineups. The other nice addition this year is even better battery life, with a significant jump across all of our tests. The Surface team achieved that without increasing the rated battery capacity, which if a guess had to be made, would come down to an improved display TFT since the display is still the biggest power draw by a wide margin. Finally, there’s the new old black color, which we hadn’t seen on Surface since the Surface Pro 2. It looks good, but it does get dirty much quicker than the platinum that they used before, with fingerprints and hand oils showing up very quickly. The other nice benefit of the platinum color is that any scratches to the finish should be mostly masked by the color of the underlying metal, but it’s too early to tell how durable the new black finish will be, so this may or may not be an issue. Likely it will be though, unless you are someone who never scratches a portable device. This was also our first chance to test out the passively cooled Surface Pro, since we were only able to test the Core i7 model last year, which did feature a fan. The Core i5-8250U in the Surface Pro 6 was able to maintain an average of over 15 Watts of power dissipation indefinitely, although the power would drop periodically to maintain surface temperatures. The added benefit of a completely silent device can’t be overstated either, and unless you really need maximum performance, the fanless model is probably the way to go. Nothing big has changed for this year, but this version still seems like a nice improvement regardless. If anything, it’s the release cadence of Surface that is the most baffling. It seems like Microsoft is concerned with having another launch go as poorly as it did with Surface Pro 4 and Surface Book, where the Skylake power management issues caused them a lot of grief. When the company moved to Kaby Lake in summer 2017, it fixed those issues, but Kaby Lake was launched in the second half of 2016, meaning Microsoft was selling the Skylake models for far longer than they needed to. Microsoft seems to want to refresh when they want to, but it’s not always to their benefit, and rarely good for their customers, for them to sit on products well after the rest of the competition has moved to the latest products inside. 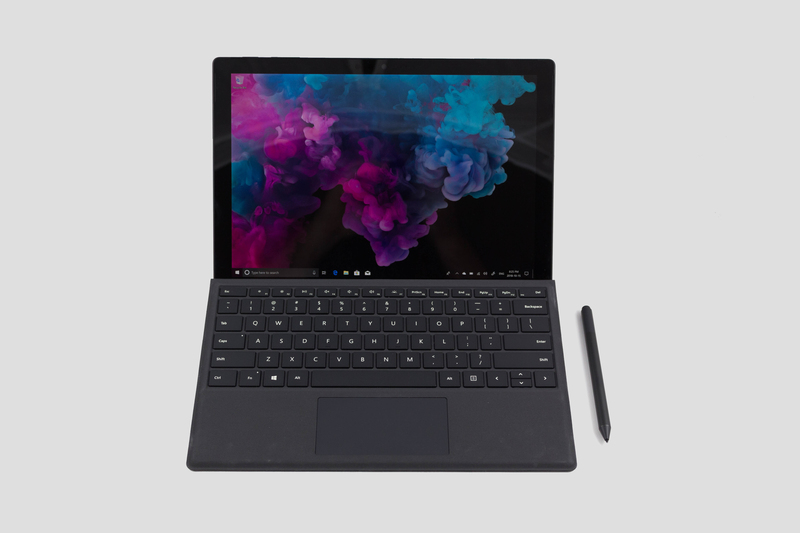 The Surface Pro 6 is launching with Kaby Lake refresh right as Whiskey Lake is launching, which isn’t going to be a dramatic improvement in performance, but it does include hardware mitigations to Spectre and Meltdown which will now not be available in the Surface Pro for the foreseeable future. We are seeing the 2018 Surface Pro 6 launching with the same wireless adapter as the Surface Pro 3 had in 2014, and even in 2014 it wasn’t the best Wi-Fi adapter. The USB-C is another example of where they’ve decided to dig in their heels for almost no reason, since having a second USB port would probably be welcomed by more users than those that want to use mini DisplayPort, even though that’s available over USB-C anyway.